Middlewoods of Newington is a cozy, single story independent and assisted living community with 60 apartments, affiliated with UCONN Health Center. 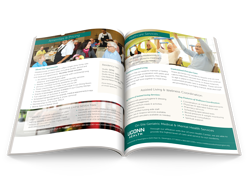 In our brochure you'll find information on our amenities and personalized caregiving. Complete the form to the right to download your brochure.